British telecommunications services provider O2 is the fastest growing social media brand according to the Utility Social Media Benchmark results from eDigitalResearch. It is the only brand within the benchmark to reach over 1 000 000 000 followers on Facebook. Their social media success stories have been published by Wired, the Telegraph, and the Guardian, among many others. They are one of the brands that managed to turn a huge industry crisis into gaining more customers. 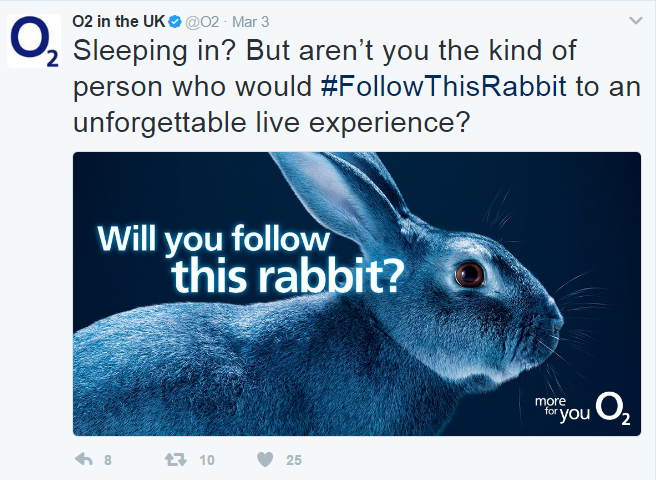 In this post, we'll take apart O2's social media strategy, and pinpoint what they've done right. Lessons from this brand's marketing strategy are universal: they apply to a small business as well as a large one, as you will see in a minute. So, what should you do based on the O2's example? For a network provider, and for any company that assists more than a couple of people, things inevitably go wrong from time to time. And when a business is about something crucial to people's everyday lives, it's also inevitable that the customers won't dismiss any mistakes - they'll talk about it and they'll be angry. One of the most common reasons for businesses not to go online is exactly this one: a fear that there will be many angry messages addressed to them; that in the end there will be too much negative exposure. O2 shows us that this reasoning is wrong. Go to the official O2 page that tells you all about their social media goals, and you'll see that it starts with "Helpful. That's what we try to be on our Facebook page, Twitter, blogs, forums and many other social media channels." And that's exactly what your social media page should be there for. Although O2 gets numerous negative comments and mentions online, they reply to each of them, and try to help every one of their customers. They ask questions to clear up the situation, redirect them to support, or apologize, but they never ignore the message no matter how rude it is. They also post latest O2 news and links they find interesting, competitions, and everything about the social media campaign if it's on. Once upon a time, when O2’s network was floundering, complaints from justifiably angry customers flooded the company on social media. Many were inexplicably rude. 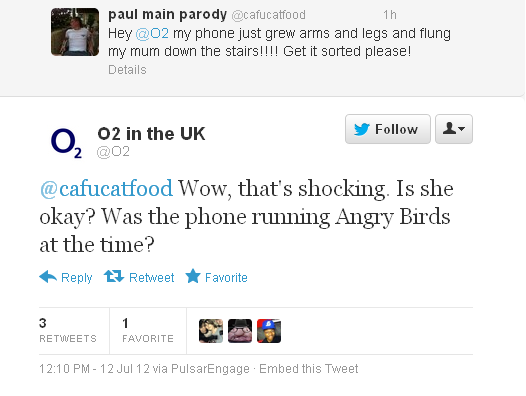 O2 did not only monitor every conversation happening online and responded personally to every message, they also did that in a ridiculously funny and humble way. They turned the stream of complaints into a fun conversation with their customers. That attracted thousands of new followers that wanted to simply observe the social battlefield. 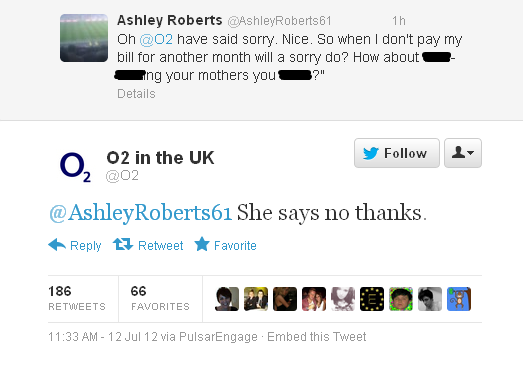 O2 managed to delight the complainers (naturally not all of them, but they did the best in the situation), and make the rest of the Internet join their side. Here are a couple of examples from the day that tell us how the situation unfolded. It's worth noting that there were hundreds of tweets where O2 just apologized and explained that they're working on the problem. But these were the ones that got the attention of the followers. The whole thing happened a long time ago, in 2012 - still relevant today. Successful social media campaigns aren't straightforward or easy to come up with. The idea behind the campaign should be relevant to your customers on a personal level, and should also be relevant to your product. A couple of years ago, O2 came up with #BeMoreDog campaign, which was much more successful than you can tell from its name. #BeMoreDog, featuring cute dogs and cute cats, as one would expect, had a deep meaning behind the slogan. The campaign pointed out the difference between animals: cats are aloof, cynical and constantly bored. They don't enjoy life much. If cats were human, they would prefer to stay at home on Saturday night binge-watching Breaking Bad. Dogs, on the other hand, are excited about everything. Park? Amazing! People? Amazing! Beach? Oh my gawd! In their campaign, O2 tells us that dogs are right - it's much more fun to be active and easily amused. How is it relevant to their customers? O2 counts millions of customers, and they are as diverse as it gets. However, there is something that unites them all: the time they live in. The Information Age is the age when one has enough to occupy themselves with to never leave home on a weekend. This is an awfully appealing way of behaviour, which many believe to result in "the loneliness epidemic" of modern age. O2 picks up on that and urges customers to go out, explore, try new things and give up the cat-like apathy forever. How does it relate back to their products? With their campaign, O2 urges not to wait and try out new technology, new phones, new contracts; to take part in competitions, win concert tickets, and support the rugby team that O2 sponsors. Another thing to learn from O2's campaigns (not just that one) is that they are always integrated across all channels O2 is on. So online and offline, billboards, Twitter, Facebook, YouTube, TV ads - whatever channels you have, they should be sending the same message. 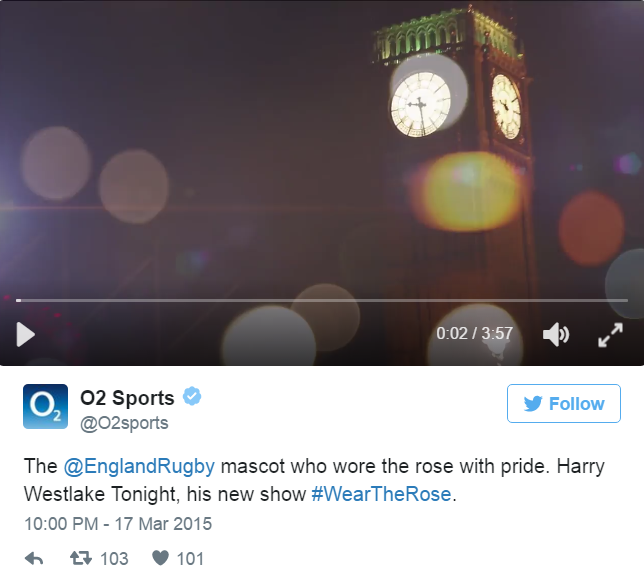 O2 actively supports England Rugby team. So any hype around them is something O2 pays close attention to. That is why when a piece of content where Harry Westlake, the kid passionately singing the anthem before the game, went viral on social media, O2 was quick to notice that and take action. They asked him to become an official interviewer for the England Rugby team, and created entertaining videos that attracted plenty of viewers. 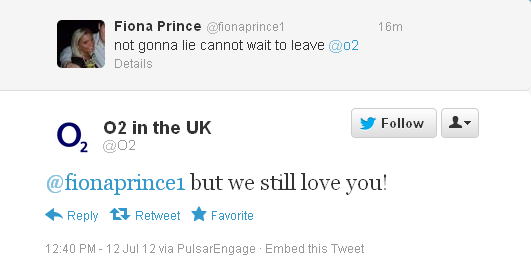 In the interview with Kristian Lorenzon, Head Of Social at O2, he said that it is important for brands to be prepared to situations such as this one, and react straight away. This is the lesson to take: monitor what's going on in your field (or in this case, in the field you managed to connect to your product) with a social media monitoring tool like Awario, react fast, and take advantage of that! As Kristian said in the interview, the company these days should be a bit like a news agency. The rapid changes in the social and digital world are important to stay up to date with. You need to be cutting edge, fresh and always standing out from your competitors. 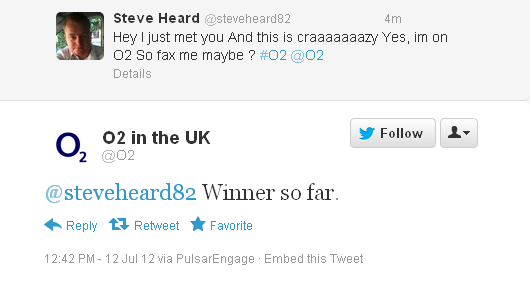 And that is indeed what O2 is doing, and you should be too.